Sewing Pattern - HP Lovecraft's classic monster turned plushy cute. Look at that little face, and those little claws, and those little wings... he's so cute and cuddly. He really didn't mean to destroy all those boats. 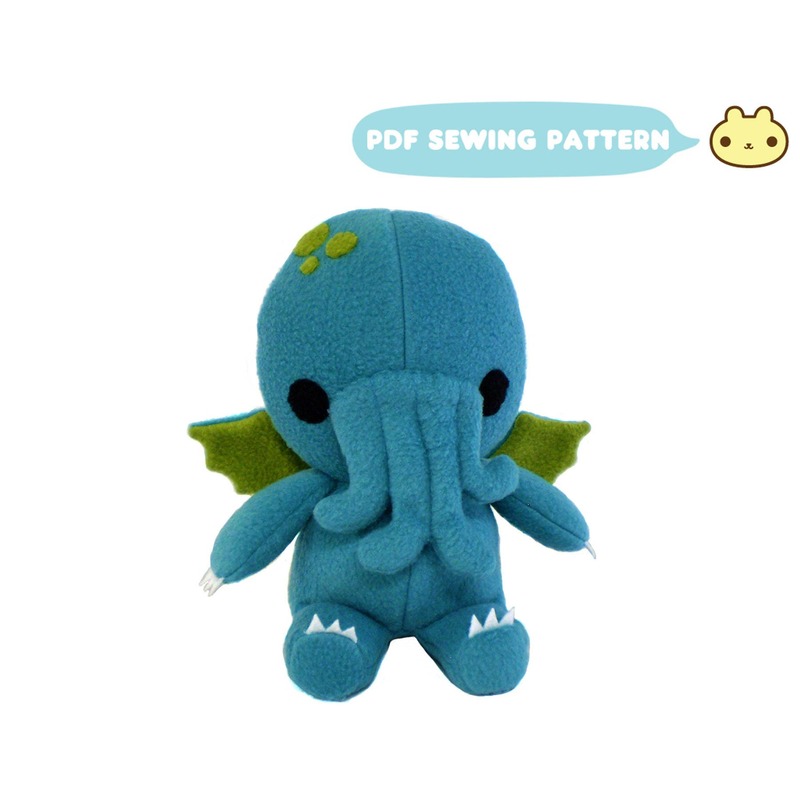 And now you can make your very own plush cthulhu monster! So lovery and instruction so simple. Fantastic !